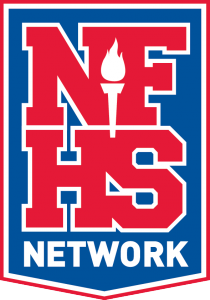 Editor’s Note: The NFHS Network is the exclusive broadcast partner of CIAC Championships. Several CIAC member schools have also partnered with the NFHS Network to provide streaming coverage of regular season events. Every Monday CIACsports.com will feature a handful of games to check out in the new feature “What to Watch.” All records are at the time of posting. 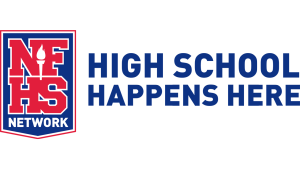 Even with the holiday start to the week, this week the NFHS Network will feature 79 games with the Connecticut teams. Check out all the upcoming and live events here https://www.nfhsnetwork.com/CIAC or go to the landing page for your favorite team. Here are a few selections to watch this week. All photos courtesy of MaxPreps. 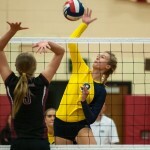 Monday, 10/8, Lauralton Hall vs. Fairfield Ludlowe girls volleyball, 5:30 p.m.: An interesting cross-league volleyball match-up starts the week with Fairfield Ludlowe hosting Lauralton Hall. Lauralton picked up a pair of wins last week to move its record to 6-4 and is getting its one non-league test of the season in this match. 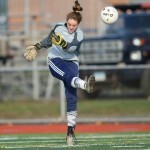 Ludlowe is coming off a tough 3-2 setback last Friday that dropped its record to 8-2. Both its losses this season have been by 3-2 scores and at exactly the half way point of the season the team is trying to start a strong closing run. Tuesday, 10/9, Immaculate vs. Newtown girls soccer, 7 p.m.: Southwest Conference rivals square off on Tuesday with Immaculate traveling to play Newtown. Both teams sit comfortably in the top-10 of the rankings in their respective state tournament divisions (LL & S) and are both in the top-4 in the SWC standings. Immaculate is riding a six-match win streak which includes four shutouts and the Mustangs are 9-1-1 overall. Newtown is unbeaten in its last five outings and has dropped only one home match this year. 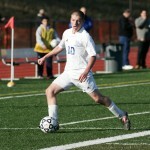 Immaculate earned a 2-0 victory at home in the team’s regular season meeting last season. 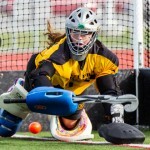 Wednesday, 10/10, Staples vs. New Canaan field hockey, 4 p.m.: An FCIAC field hockey battle highlights a relatively quiet night of NFHS Network action. New Canaan will try and derail what has been a dominant performance from Staples this season. The Rams lost by a 2-1 score to Norwalk in its last game, which was its first loss since dropping its season opener. Staples meanwhile is 9-0 and atop both the FCIAC and Class L playoff standings currently 10 spots ahead of the Rams. The Wreckers have been dominant behind an explosive offense that has averaged 6.5 goals per game while allowing only three scores total. Thursday, 10/11, New Milford vs. Masuk boys soccer, 7 p.m.: A light Thursday night of action before a busy weekend of games, but a few worthy games to highlight including a boys soccer contest between visiting New Milford and Masuk. After a promising 3-1 start to the year New Milford has struggled a bit, dropping to 4-6 to start the week. The squad has managed to find the goal in four of the past five games, but has only come away with a win in one of those contests. Masuk entered the week at 4-4-3 and is trying to keep pace with the teams atop the SWC standings. The inverse of its opponent on Thursday, the team struggled out of the gate but has won three straight suffered just one loss in its last seven. Friday, 10/12, Shelton vs. Masuk football, 7 p.m.: Another Masuk contest, this time on the gridiron as a pair of CIAC postseason participants from last year square off in an non-league battle. Masuk reached the Class L championship game last season, but dropped its first two games of the 2018 campaign. They’ve bounced back with a pair of wins since then, and will look for a big win that could help propel them back to the postseason. Shelton is unbeaten through four weeks, one of six remaining teams without a loss in Class LL. A pair of narrow, one-score victories and a pair of lopsided affairs has been the story thus far for Shelton, and a stingy defense that has not given up more than 10 points in any game. Saturday, 10/13, Newtown vs. Norwich Free Academy football, 1 p.m.: Another interesting non-league football contest helps wrap up the week as Newtown drives across the state to challenge NFA. Newtown is another of the Class LL unbeaten teams and has rolled to its current 4-0 record. The squad has posted a pair of shutouts and allowed just a touchdown in the other two games, while scoring at least 35 in every game. NFA dropped a tough road game to Fairfield Prep in week two, but has posted wins in its other three games, each of which has been at home. 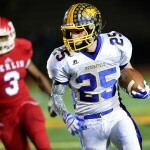 If it hopes to keep pace in the tough Class LL playoff run, the Wildcats may not be able to suffer a second loss, so will be intent on handing Newtown its first loss.